First, my apologies for the lack of posts lately. Today concludes one busy week, but busy in a very good way. Tomorrow begins another such week, though likely much less enjoyable! 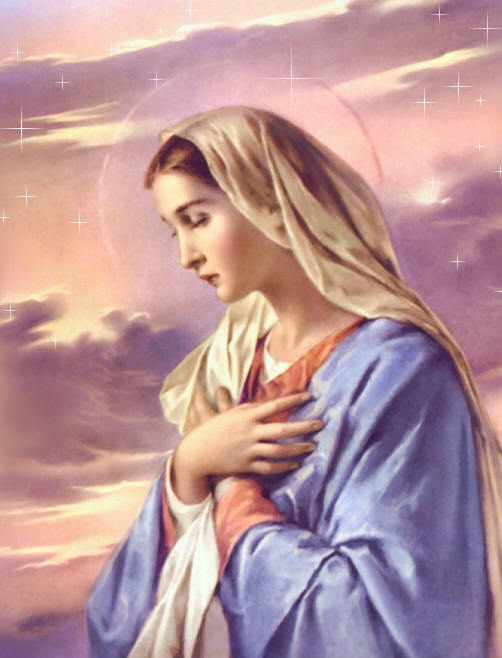 It being the month of Mary, I will be attempting to write more about our Blessed Mother this month. My goal is at least 10 posts on her. This is just a preview of coming attractions. Please pray this prayer, from a post on A Catholic Life. A beautiful prayer! Dearest Mother, I desire to belong to you forever and in the most perfect manner, and through you I want to become the property of the Divine Heart of Jesus for time and eternity. Behold I dedicate to you this day and all the days of my life, but especially at the hours of my death, my soul with its faculties,my body with its senses, in a word my whole person. I unite this dedication with the Sacred Life, Passion and Deathof Jesus, with all holy Masses, ever to be said, and with all holy communions, ever to be received. I unite it with your glorious merits, dear mother, with the merits of all the saints and elect, and with all good deeds ever to be done. With these I unite my own prayers, labors and sufferings; also all indulgences I can gain, all merits I can acquire; I place it all into your motherly hands. Purify my gift of every stain, dispose of it, and offer it up to the Holy Trinity in accordance and in union with the infinitely holy intentions of the Sacred Heart of Jesus. Help me, dear Mother, to sacrifice myself for the honor of your Son and for immortal souls. Grant, not as a reward but as a favor that I may ever serve you, and that I may never – not even by purgatory be separated from your Divine Son. O clement, O pious sweet O Virgin Mary. Amen. This entry was posted in Blogosphere, Mary, Prayer. Bookmark the permalink.